There is a verdict, but the case is not over. This was not the first time that Dunn stood trial for these charges. “In February, a different Duval County jury convicted Dunn on four charges — three counts of second-degree attempted murder and one count of shooting or throwing deadly missiles — for opening fire at the SUV. But jurors could not reach a unanimous verdict on the murder charge and deadlocked, prompting the retrial that kicked off last week.” Now that Dunn has been found guilty of Davis’ murder, he will be sentenced in Jacksonville for all of the charges. The judge will set a sentencing date on October 7, 2014. Both the Duval County State Attorney and Dunn’s Jacksonville criminal lawyers will prepare for sentencing in this case. Because Dunn is going to be sentence on his first felony case, he is entitled to a presentence investigation. This is known a PSI in Jacksonville. It is set forth in Florida Statute Section 921.231. This report is completed by the Department of Corrections (DOC). It is submitted to the court with a recommendation. The judge is not required to follow the recommendation of the DOC. This is one reason why it is so important that Jacksonville criminal defense lawyers present sufficient mitigation at sentencing hearing on behalf of the defendant. It appears that a PSI report was ordered after Dunn was found guilty of the felonies in the first trial. This will be updated. You will still hear from witnesses for the State of Florida, including the victim’s family members, and witnesses for the defense. 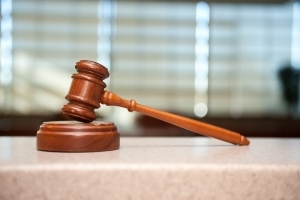 The sentencing hearing is a very important phase in most criminal cases. In most Florida criminal cases, you have a sentencing range. This is based on Florida sentencing guidelines and minimum mandatory sentences. Quite often, a defendant’s guidelines will range from no jail time to several years in prison. The sentencing hearing could make the difference between prison and probation in Florida. One of the issues with Dunn’s case is that he has a minimum mandatory sentence based the discharge of a firearm. He is also facing a minimum sentence of life based on the first-degree murder conviction. His attorneys will likely be filing an appeal in order to seek a reversal.